The award-winning Village Inn is one of the area's most popular and recognisable establishments. Just moments from Lake Windermere in the heart of Bowness, our sterling reputation is based on good, quality food, cooked well. Since 2011, The Village Inn has successfully woven a very special brand of magic to create a thriving restaurant-bar winning no less than three international accolades for its food and ambience. Open every day from 10am until late, we've become best known for our superb range of freshly-prepared and locally-sourced dishes, our extensive bar and family feel. The bar offers a vast selection of real ales and an excellent range of beers, brandies and an extensive wine list. Why not sample our infamous cocktail and mocktail list with unusual offerings such as our unique 'butterbeer cocktail'. 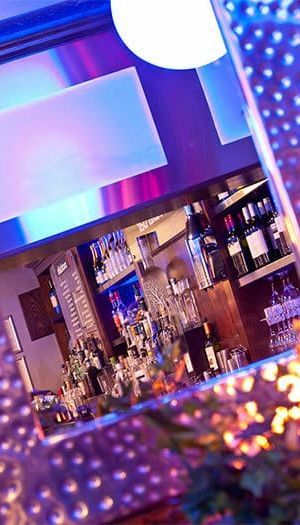 Serving breakfast, lunch and dinner, we're family-friendly by day, converting at night into a vibrant bar and eatery serving up bespoke cocktails and a healthy dose of our favourite musical tunes!